Chelsea have officially announced that Kenedy will return to Newcastle United for a season-long loan after impressing on Tyneside last year. 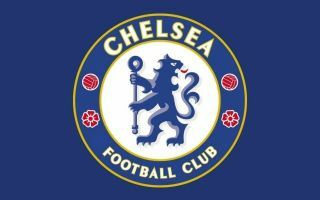 The Blues have plenty of depth on the left flank with the likes of Marcos Alonso, Emerson Palmieri, Eden Hazard, Pedro and others capable of playing in the defensive and attacking positions. In turn, with competition for places fierce, it will come as no surprise to many that Kenedy has rejoined Newcastle on loan for next season, as confirmed by Chelsea on their official website, with the 22-year-old set to benefit from regular playing time. The Brazilian ace spent the second half of last season at St. James Park after joining them on a temporary deal in January, going on to make 13 appearances while scoring two goals. With that in mind, it’s arguably the most sensible decision from the club and player’s perspective, as it suits them both to help him continue his development. Further, it’s also a boost for Newcastle boss Rafa Benitez who evidently rates the player highly to want him back again, and so it remains to be seen if it proves to be a fruitful stint next season. Naturally though, the ongoing concern for Kenedy will be whether or not he gets an opportunity to prove his worth at Chelsea in the future, or if the string of loan exits will see him fall further down the pecking order and eventually leave on a permanent basis.